Vibration exists at the heart of all matter in the universe. Every raindrop, crystal, rock, star, cell, plant, tree and creature is formed from matter that vibrates. Humans, therefore, are vibrational organisms and our flesh and blood consists of a delicate tracery of electromagnetic frequencies that harmonize with each other and manifest as the biological matter that comprises the components of our bodies. And like an orchestra in which the players tune their instruments to align with each other, living tissue, too, is held in an exquisitely harmonious balance. However, when disease or illness occurs it creates an imbalance in which one or more of the “players” in our cellular orchestra create discord and generate vibrations that are unnatural to our organism. This simple allegorical model contains important truths that we will discuss in detail in later articles on this subject. Before discussing the scientific underpinnings of this concept it is worth remembering that Pythagoras of Samos, the genius who gave the world his beautiful theorem—the square of the hypotenuse is equal to the sum of the squares of the other two sides—also believed that music could be used as medicine. One of his biographers, Iamblichus, writes, “Pythagoras was of the opinion that music contributed greatly to health, if used in an appropriate manner … [by using] music in the place of medicine.”1 Today, music therapy is an established clinical discipline, widely used to assist people to overcome physical, emotional, mental, social and spiritual challenges. Music therapy only partially validates Pythagoras’ belief because, returning to our orchestral model, what is less well known is that the individual frequencies within music can also support healing of the body.2, 3, 4, 5, 6 Studies of the mechanisms by which music, and the individual frequencies within music, act as a form of medicine and are in their infancy, which is why we think it is important to put Pythagoras’ 2500-year old hypothesis to the test. The first step is to implement a series of experiments in which we will endeavor to reveal the validity of Pythagoras’ important premise. The biological mechanism in our hypothesis concerns the Primary Cilia that are a vital feature of almost all cells.7 On the surface of most cells in our bodies are many projections known as Integral Membrane Proteins (IMP).8 They have many functions, including the transport of food into the cell and the excretion of waste, but one class of IMP’s, known as the Primary Cilia, are antenna-like structures that respond to infrared light as well as specific frequencies of sound. In a sense they act similar to tuning forks that have a particular resonant frequency and are maximally excited only at that specific frequency. In some categories of illness the cells of a particular bodily system become quiescent, for example, due to physical trauma, the invasion of a pathogen or the presence of a toxic substance. This quiescent state is known as the G-0 phase of the cell cycle in which the cells of a particular bodily system are effectively asleep and not replicating, which throws the body out of balance and therefore creates illness. Cells that are in this deep sleep condition can exist in that state for very long periods. To awaken the cells, sparking them into the G-1 phase in which the cell prepares for replication, the medical literature suggests that either time (that is, more sleep) or nutrition is the required stimulus. The stylized cell on the left is asleep while on the right the cell has been awoken by an external stimulus—that is, sound in our hypothetical model. The legends illustrate the stages to replication. However, in our hypothesis, sound of a specific frequency is able to energize the cell via the Primary Cilia. When sound enters tissue, a pattern of acoustic energy manifests on the surface membrane of every cell, known as a “cymatic pattern” or “Faraday Wave” pattern. 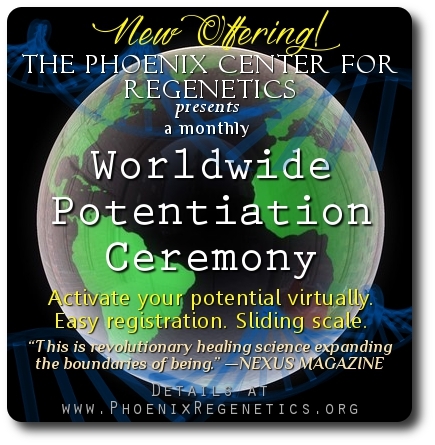 In our studies we are beginning to reveal these patterns, which act on the IMP’s and in particular the Primary Cilia, stimulating the cells to support them to move from the G-0 phase to the G-1 phase and ultimately back to a healthy state. We filmed sound manifesting as cymatic patterns on the surface of microscopic water droplets, which can be viewed in this video below. Whenever we are immersed in sound the membranes of our cells and visceral waters receive beautiful patterns, provided the sound is harmonious to our ears. Loud and dissonant sounds create skewed, subjectively ugly patterns within our bodies. This raises the question: how do our cells respond to beautiful versus ugly sounds and their respective patterns? Of particular note is that although the droplets are in very close proximity to each other (the entire field is only 4mm or 0.16 inch across) you will see that various sizes of droplets respond to the sound differently, suggesting that resonance may play a major role in the ability of cells to absorb acoustic energy. Therefore, with Primary Cilia we expect the same laws of resonance to apply: it will be important to inject the correct acoustic frequency to promote cellular division and stimulate a therapeutic effect. In our proposed experiment with blood we plan to test a wide range of frequencies and genres of music, to see which promote longevity. Other studies that point to the role of high frequency sound—ultrasound—in stimulating cellular division, concern “organogenesis,” the name given to the creation of new leaves, flowers and stems in plants. In the presence of low ultrasound the rate of growth can be several times greater than without sound. 9, 10 An interesting aside to plant growth stimulated by sound is that of bird song and “psithurism,” the sound of wind in the trees. 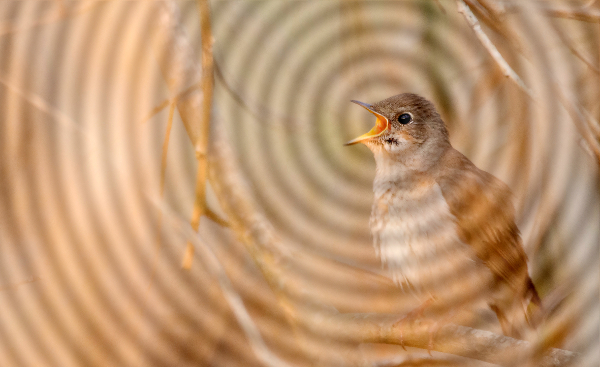 Many birds sing in low ultrasound ranges, typically up to 60 kHz, which is more than three times higher than the highest frequency that humans can hear. Many birds sing up to the low ultrasound ranges, typically up to 60 kHz. The sound of the wind in the trees is a form of noise that also contains low ultrasound. We wonder if a latent ecosystem exists between bird song, psithurism and plant growth? An interesting hypothesis that we believe is worthy of future research. In conclusion, with your help, testing a 2,500-year old Pythagorean hypothesis could lead to a bright future for sound and music therapy, a future that could alleviate many illnesses without ingesting substances that are foreign to our bodies. 1. Iamblichus’ LIFE OF PYTHAGORAS. Inner Traditions International Ltd, page 59. Copyright © [12/27/17] GreenMedInfo LLC. This work is reproduced and distributed with the permission of GreenMedInfo LLC. Want to learn more from GreenMedInfo? Sign up for the newsletter at http://www.greenmedinfo.com/greenmed/newsletter. 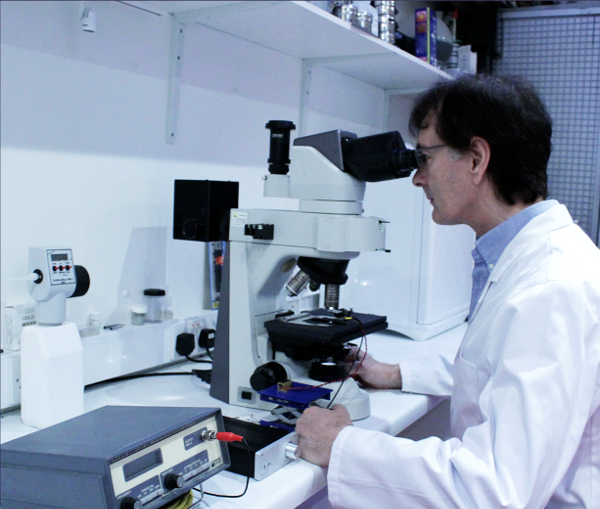 John Stuart Reid is an English acoustic-physics researcher and inventor of the CymaScope, an instrument that makes sound visible. He has studied the world of sound for over 40 years and is one of only two men to conduct an acoustics study of the Great Pyramid. His primary interests are developing cymatics into a new science of visible sound and developing applications for the CymaScope, including the CymaScope app, which reveals cymatic energy patterns in real time from voice or music. He authored the first chapter to approach cymatics from a scientific perspective in THE MEREON MATRIX, published by Elsevier. He is engaged in pioneering research to decipher dolphin language and co-authored a paper with SpeakDolphin.com titled “A Phenomenon Discovered while Imaging Dolphin Echolocation Sounds” in the JOURNAL OF MARINE SCIENCE. He lectures at conferences in Europe and the USA.